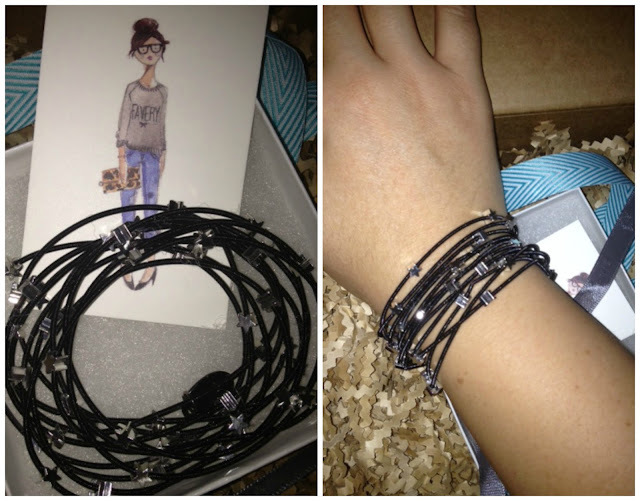 Today in addition to Monday Morning Gossip I have a great giveaway - a set of Star Infinity Bracelets from Favery! Favery is a new jewelry site featuring the latest trends, unique pieces, and styling tips. Their large selection of bracelets, earrings, necklaces, and rings all come with free shipping & returns. Don't you love that? I hate paying for shipping. And on top of beautiful items they offer incentives for inviting your friends to sign up for accounts. Like other popular jewelry sites, you get a bonus when your friends make a purchase - but Favery offers a $30 credit AND when your pals sign up you get a $6 credit. So easy to rack up those credits! Onto the giveaway! I was given the same set to review that the winner will receive (which happen to be sold out from the site because they're that cute). These 12 piano wire bracelets with delicate star charms are super adorable and go with everything. I just wore mine with a chunky silver watch and necklace and they looked great together. You can wear all 12, split them up on each wrist like I did, or just wear one at a time. That easy! One winner will be selected and announced this Friday. GOOD LUCK! DUE TO THE HOLIDAY NEXT WEEK, MMG IS GOING TO BE ON VACAY AS WELL. ENJOY THE LONG WEEKEND AND LINKUPS WILL RESUME SEPTEMBER 9TH. If I had to describe my style I don't think I could. I am a mix of trendy and prep. So what's that - stylish granny? This week for Friday's Fancies I put together I look I'd wear. I actually just bought the Old Navy flats! And that bag. Isn't it beautiful? It's a Proenza Schouler PS1 Pouch Suede in Veruca Salt. 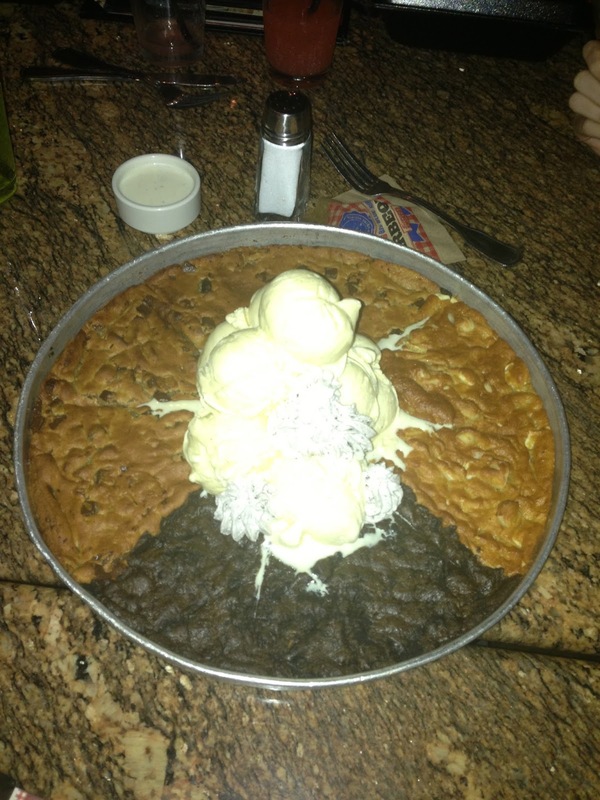 I'm in love. I know I have been a little, OK a lot, MIA. I'm sorry! I'm hoping to get back into the swing of things real soon. Since starting a new job in April I haven't had as much time as I used to. The daily drive exhausts me and this blog has suffered as a result. I plan on prepping posts in advance and getting back into the swing of things. Next week I have a giveaway so stay tuned. 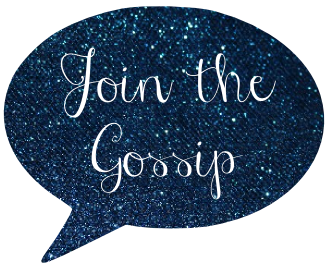 And be sure to come link up for Monday Morning Gossip! Who dat, who dat said they gon' beat them Saints? I'm a HUGE New Orleans Saints fan. Like obsessive. 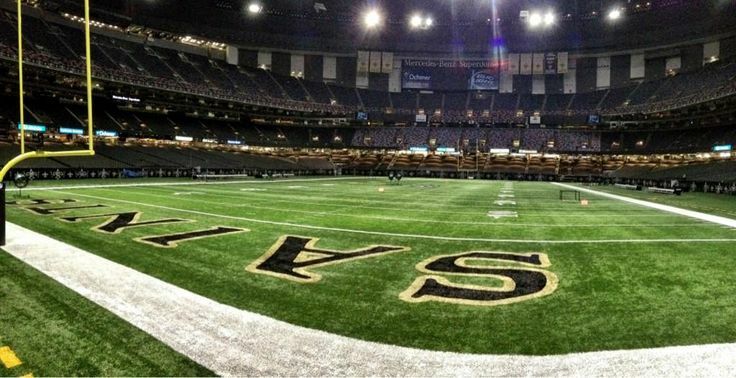 In exactly one month I head to the Big Easy to see them play at the Superdome. It's a daughter-dad trip and I'm super excited! My dad got us tickets in the 9th row. See those seats at the bottom on the left of the picture? Yup, we'll be that close. It'll be my second time in NOLA but my dad's first so I'm currently planning and booking tours. So far we have a ghost tour (I do these in every city I visit), Garden District Tour, and mini air boat swamp tour booked. Pray we don't tip over and get eaten by alligators! Last time I didn't really have restaurant plans and unfortunately we didn't get to enjoy the local food. So if you have any tips/musts as far as eating, send them my way! Saturday one of my sorority sisters hosted a get together at her house for a bunch of Delta Zeta alums. It was great to see ladies I haven't since since graduating eight years ago and meet new ones who joined after I left. As you can see from the picture above, our motto stands true, "Individually unique, together complete". I love that we're all different, yet have one common bond - DZ. turtle cupcakes and wine. the perfect combo! Why have I never heard of my-wardrobe? It's kind of fabulous. They have all of the hottest designer labels and a great selection of products. This week for Friday's Fancies I decided to create a casual outfit for running errands around town all with items I found of the site. I'd wear it, would you? Have a great weekend! See you back here for Monday Morning Gossip. Now that H&M has an US online shop I've had to seriously refrain myself from buying everything I want. It's so amazing to have the access but scary that it's that easy to drain my bank account now. To celebrate the recent launch, the site has a bunch of great deals for $10 - blazers, pants, tops & more. Have you check it out yet? I actually had a few of the below items in my shopping cart but am going to wait to buy them. If the items are still available when I get my next paycheck then it'll be a sign for me to snag them, right?! At the very least I need to grab that shirt...in several colors. 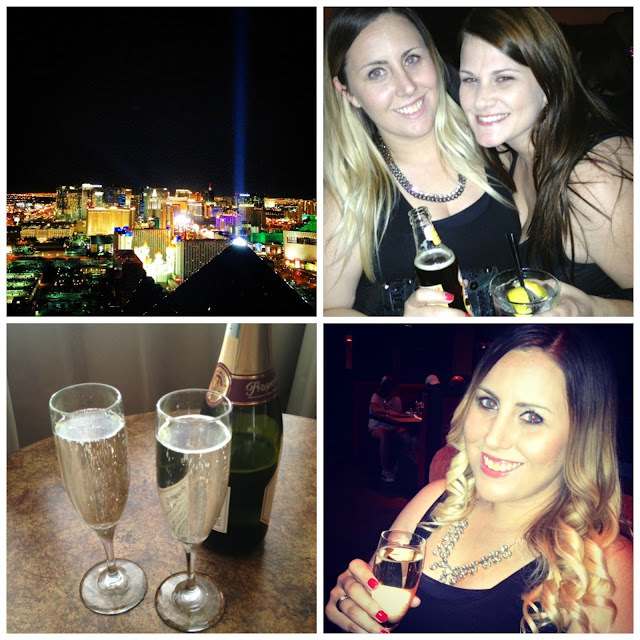 I'm currently in Vegas continuing my 30th birthday celebrations! While I'm away I have Kathrin filling in for me. Since we're IRL best friends you've probably heard about her a lot, but if you're new to these parts, she's the lady behind Shop.School.Sleep. Be sure to check her out after you read this fabulous post she's prepared for you! 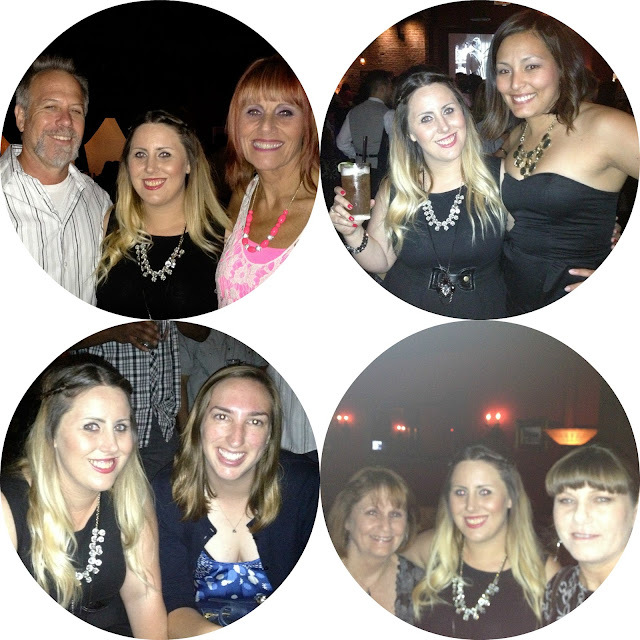 Leeann is off celebrating her 30th in the Vegas and I am getting ready to start a new school year...not fair!! haha!! While Leeann is gambling and relaxing in Sin City, I had a pretty great "last weekend of freedom". A little bio in case you're new around these parts...my name is Kathrin, or "Kat". Leeann and I have known each other since 6th grade. I'm a teacher at a middle school and my husband is also a teacher at a high school. I generally blog about everything...my cats, fashion, weekends, books, life. I just graduated with my Maaster's inEnglish Lit so no more grad school!! yay!! 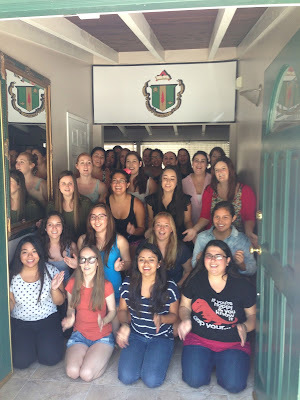 I spent pretty much all weekend helping the ladies of my Delta Zeta chapter prepare for our annual formal recruitment. Leeann and I were members of Delta Zeta during our college years..many moons ago :) In addition to helping the active members of the chapter, I got to spend time with my lil sis, Kathy, and one of my favorite recent alums, Kristen. Saturday was spent all day at the Delta Zeta house. The actives practiced their songs and conversations....while having fun and getting to know Kathy (who I'm so happy to say is the new Academic advisor with me!!) and Kristen and me...even thou they already kinda of know me...I was a bit AWOL this past semester due to grad school. Saturday night the executive board, Kathy and I went to BJ's Restaurant and Brewhouse for a bonding dinner with the ladies who serve on the executive board, "e-board". we shared the biggest pizookie!! Sunday was spent prepping for the first week of school. In spirit with ringing in my 30s, I'm partying it up in Vegas this weekend! Had I come across this dress sooner I legit would have bought it for the trip. Nothing says Vegas more than glitter - am I right Katy Perry? Have a great weekend and come back to link up for Monday Morning link up on Sunday night. I love monograms, you probably love monograms, I mean, who doesn't love monograms? I have a silver "L" necklace already but wanted a gold option that incorporated all of my initials. So, new to my collection is a new beauty from oNecklace. I chose a 24k gold-plated small circle monogram with an 18 inch box chain with my initials LNM. I love that while the pendant is small, it's still readable. If you're looking for monogram and/or personalized name jewelry, visit http://www.onecklace.com. I really love my necklace and on top of that shipping was super fast. Order from them, you won't be disappointed! Disclaimer: I was given the necklace for free in exchange for an honest review. The opinions in this post are all completely my own. It's true, friends. Today I turn 30. For real? Wasn't I just in high school? How is this possible?! I guess you know you're getting old when you fully understand the phrase "time flies". 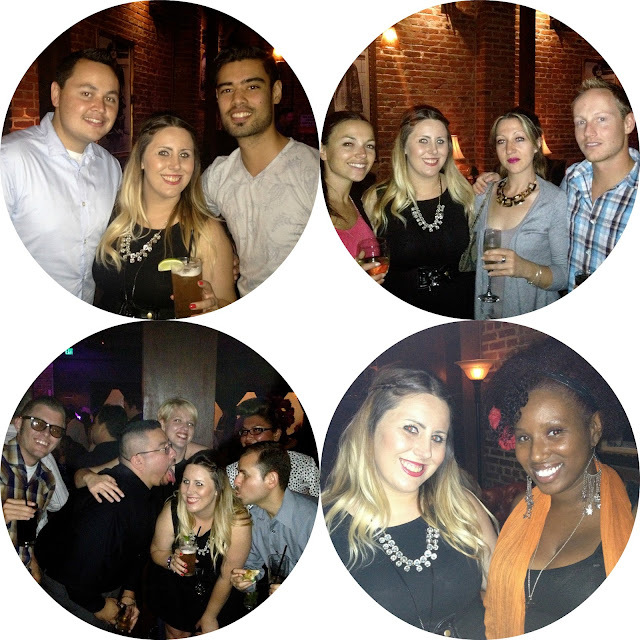 Before I got all decrepit I saw my 20s out with a bang at a local Hollywood speakeasy, Next Door Lounge. Saturday I had a big birthday bash hosted by my awesome parents to mark the end of a crazy but wonderful, emotional yet fun, challenging and rewarding decade. 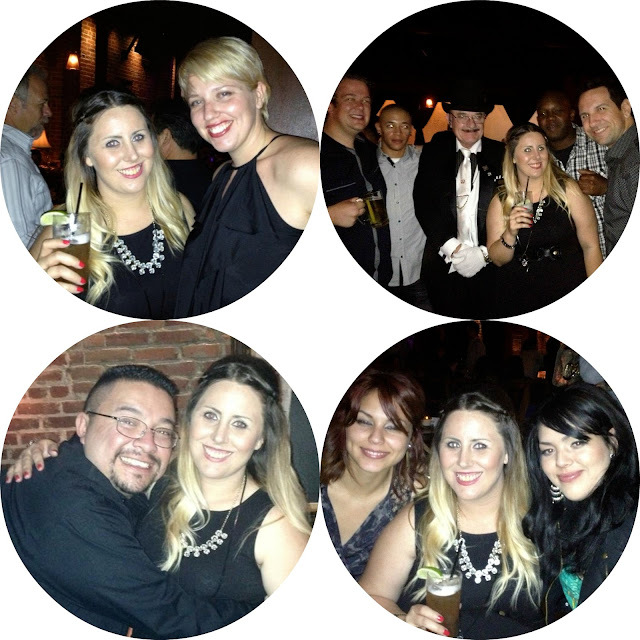 Here are some party pics! And a big thank you to Christina of Easily Entertained for sending me an amazing gift! 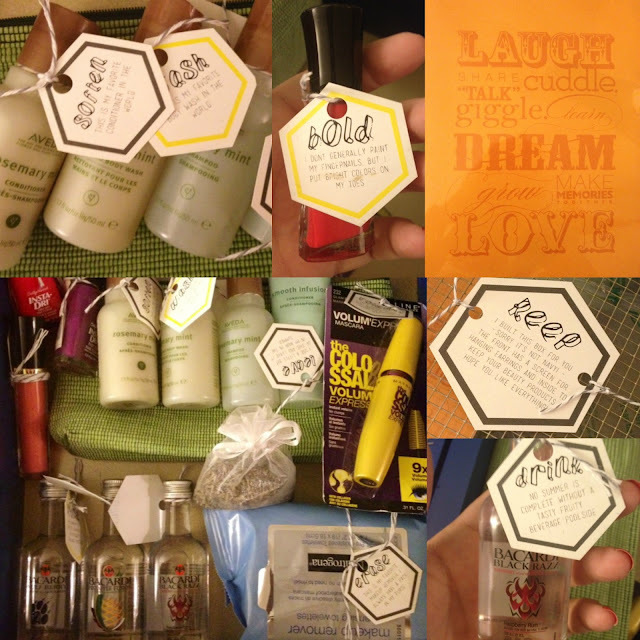 I'm so lucky to have amazing blogger turned in-real-life friends! Tomorrow is my 30th birthday party! I'm equal parts freaking out about turning 30 and excited to be living it up with all of my friends and family. The theme for the night is the roaring 20s and to celebrate the last moments of a crazy decade I'm hosting my bash at a local Hollywood speakeasy. In true speakeasy fashion a password for entry is required. No exceptions. Scared that my guests may forget that password I wanted to send them invitations with the secret phase so they'd have it handy on the night of if they couldn't remember. 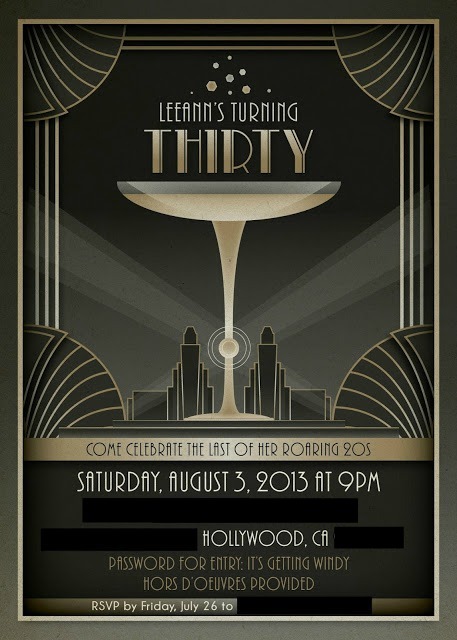 In my quest to find invites that matched my 20s theme, I found NunskDesigns on etsy. The shop owner, Anita, had a Gatsby invite that caught my eye so I decided to go with her design and customize it to my wants. I am so glad that I went with NunskDesigns. Anita was super easy to work with and put up with my questions and tweaks until the invitations were exactly what I wanted. I am really pleased with the outcome. If you are ever in the market for custom invitations, announcements, and other printables, check her out. You'll love her work! OK I know you're wondering what "it's getting windy" means. It's a joke I have when I'm drinking. Instead of admitting I can't stand straight because I'm wasted, I blame the wind and tornadoes. I'll even go say far to ask if I'm in Kansas (clearly I'm a huge Wizard of Oz fan ;). I mean, obviously it'd be the wind impairing my ability to walk and not my inebriation!